Leightons Hempstead Valley opened in Gillingham in July 1992. The shopping centre was one of the first out-of-town shopping centres in Kent, and continues to thrive. 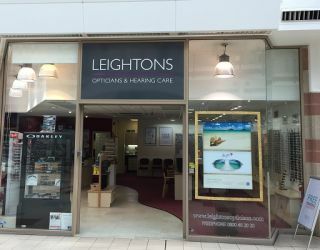 Leightons Hempstead Valley offer appointments seven days a week, including evenings. So whether you're looking for an eye examination, hearing assessment, spectacles, contact lenses or sunglasses, our expert team are always on hand to help you. 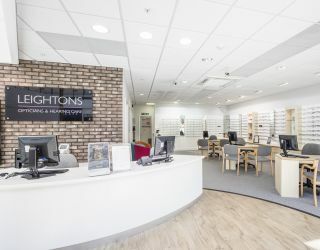 Leightons Hempstead Valley is pleased to now be welcoming customers of Bowden & Lowe Opticians and the Kent Contact Lens Centre. Both businesses share values that are close to our hearts, and take great pride in providing clinical excellence to find the best solutions to suit their customers’ lifestyles. Working with the staff of these two practices, we’re proud to be able to expand the depth of eye care expertise we provide to the local area. Find out more here.